1. The act or an instance of transforming. 3. A marked change, as in appearance or character, usually for the better. Theatre is transformative. In this gallery, you will not just see photos of actors, you will see young adults transformed into their given characters. In acting outside of themselves, these teenagers transform a part of themselves as well. They grow. They step outside of their boundaries. As an audience, we enjoy theater not just for entertainment, but to feel transformed as we watch the performers on stage. For some, one single piece of live theatre can be life changing. 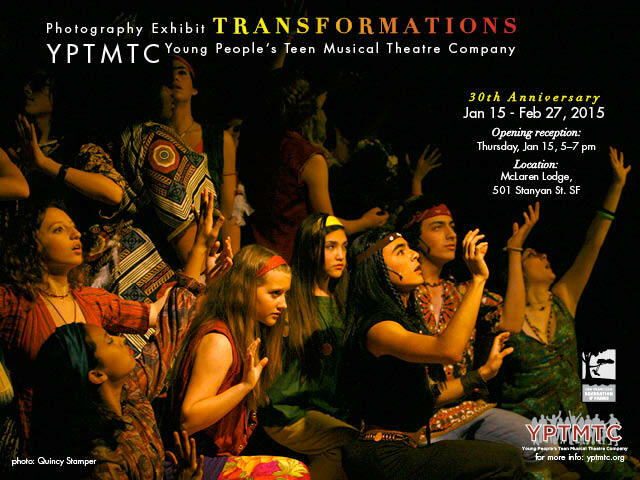 For the past three decades, the Young People’s Teen Musical Theatre Company has been a place where young adults can grow and transform through the performing arts. During this crucial, liminal stage in their lives, theatre provides the pathway to emerge into a more confident, bold, and fearless form of themselves. This transformation enriches every aspect of their lives, usually for the better.